Imagine walking into a hotel room designed by your favorite fashion brand, everything from the curtains to the bed linens emulates the brand perfectly. How much would you pay to sleep with your favorite brand? Leaders of luxury including Coco Chanel, Diane Von Furstenberg, and Bottega Veneta are now partnering with luxury hotels around the world to co-design fashion-forward hotel suites. Much like the hefty price-tag of a fresh-off-the runway design, “branded” designer suites can cost up to $21,000 a night. Ultra-affluent guests are willing to pay a hefty sum for a hotel aligning with their self-identity in terms of look and feel, amenities, and service standards. They have seemingly limitless wallets and endless options, which may create a burden for luxury hotels wishing to capture this guest. A co-designed suite presents an opportunity for a hotel to leverage the designer’s image to gain exposure and loyalty. However, the rise of luxury for the masses creates a precarious situation for luxury hotels wishing to select the right co-branding partner. A carefully crafted partner selection process is a luxury hotels best defense to avoid the pitfalls associated with mass luxury. To explain, numerous designer brands have extended beyond their traditional luxury offerings into a new market called affordable luxury goods. In 2018 alone, Alexander Wang released a line of winter basics with Uniqlo while Victoria Beckham launched a collection for Reebok. Consider how haute-couture designer Karl Lagerfeld collaborated with bargain retailer H&M in 2004 to bring an affordable clothing line to market. Average consumers, with a tight budget, were able to buy pieces for as little as $50. The fashion collaboration with H&M benefited Karl Lagerfeld due to increased sales as the affordable line sold out in hours. By extending his luxury line to the mass market, he potentially lost his affluent loyal customers and eroded the perception of his couture brand in the pursuit of quick sales. Previous studies have demonstrated that providing the general public accessibility to luxury brands can decrease the designer’s quality perception among luxury buyers. Compare this to a designer creating a limited edition, fresh-off-the-runway design costing thousands of dollars. The designer cultivates loyalty by selling the concept of exclusivity and personalization. Compare this to the average consumer who purchases brands based on fitting in with the crowd. Imagery of Ugg boots, knock-off Louis Vuitton purses, and faux-leather boots anywhere and everywhere exemplify the average consumer’s obsession with affordable luxury. Social psychology coined the term the “Rarity Principle” to explain how the perception of a hard to acquire good will result in an increased motivation to buy and pay more for the good. Simply put, people want what they cannot have, while luxury buyers want what nobody can have. The luxury market exists solely on the precept that by buying goods unattainable to most people, the buyers create their own exclusive niche segment. Therefore, a luxury hotel partnering with brands such as Karl Lagerfeld could potentially be causing more harm than good by co-creating designer suites. So what does this mean for hotels wishing to find a co-branding partner in the future to appeal to high net-worth individuals? The likely success or failure to this partnership lies in the level of exclusivity associated with the fashion designer. 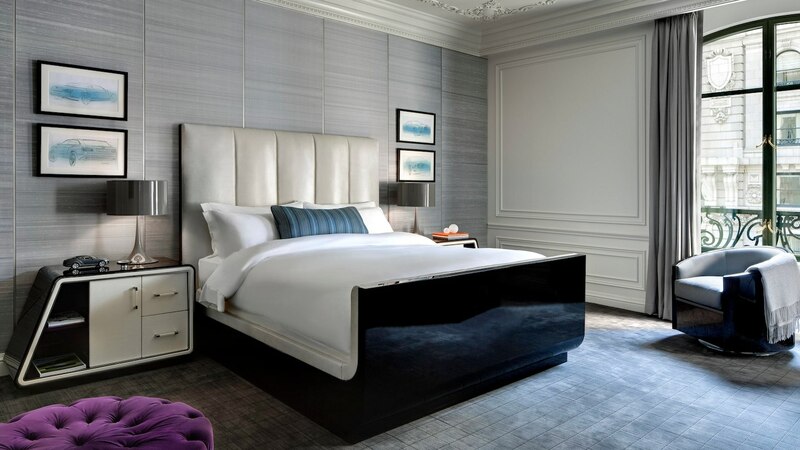 This seemingly over-simplified answer can be justified when considering the iconic St. Regis hotel in New York City who partnered with Bentley, Dior, and Tiffany & Co. to bring three signature suites to the hotel. Welcome to St. Regis New York, situated in the historic neighborhood between Fifth Avenue and 55th street. Walking into the lobby resembles stepping back into the Gilded Age with opulent marble floors, artistic murals on the ceiling, crystal chandeliers, and antique Louis XV furniture. 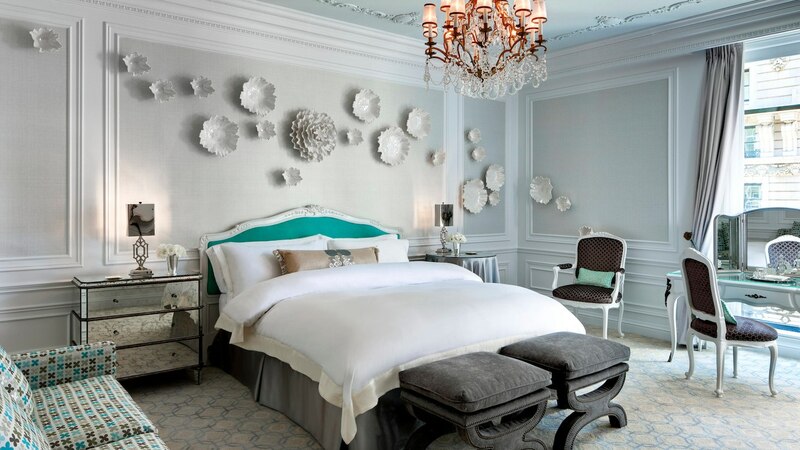 St. Regis brought fashion-forward suites to the forefront through partnering with Tiffany & Co. and Dior in 2011, then later with Bentley in 2013. 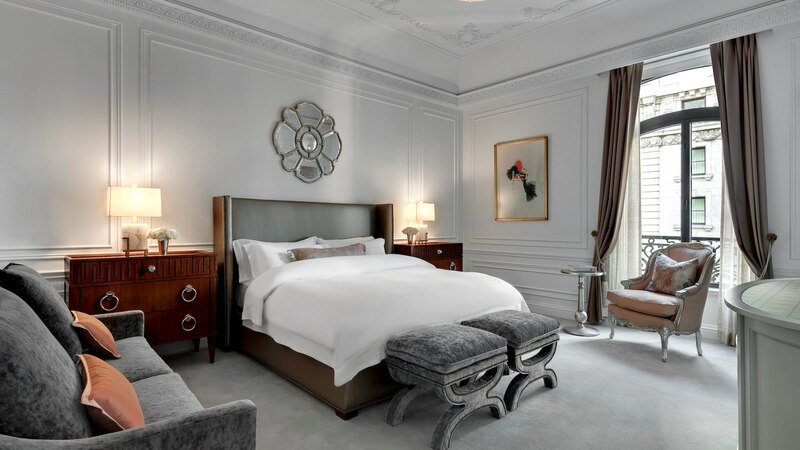 For guestrooms, the average price varies from $700 to $1,000 per night, while the Bentley, Dior, and Tiffany Suites average $10,500 per night. Therefore, even the typical well-to-do St. Regis guest can only envy the guests that can afford to frequent these fashion-forward suites. When speaking to Suzanne Cohen, vice president of luxury brands for Marriott International, she discussed how these signature suites attract well-traveled, culture enthusiasts, who have an appreciation for the arts and design. Their professions vary from entrepreneurs, to politicians and diplomats. They tend to be older, past middle age. These guests fall into the category of the ultra-affluent consumer, without the burdens of a budget but the necessity to feel catered to through a personalized and lavish stay. In other words, these guests are the top of the elite, the one percenters of the world. Each co-designed suite includes a VIP experience. For instance, the Tiffany Suite includes a private shopping experience called “Breakfast at Tiffany’s.” Guests are taken into the flagship Tiffany & Co. store where they have an exclusive shopping experience. After staying at the Bentley Suite, guests experience invitation-only driving programs and events. The question becomes whether St. Regis selected the right partners for their co-designed suites. Both Dior and Tiffany & Co., have experimented in the affordable luxury market with multiple brand extensions, think about Dior’s multiple perfumes and Tiffany’s affordable eyewear selection. And while both Dior and Tiffany & Co. have increased their brand visibility and accessibility to the masses, above all they have largely remained an aspirational brand. On the other hand, the Bentley brand is still by nature belonging to the true luxury market due to their upscale brand extensions and niche marketing efforts. When considering the varying levels of exclusivity of all three brands, perhaps St. Regis missed the mark in selection of their partners. By examining the profitability of each suite, the answer is possibly. Carl Menkes, Director of Revenue Management for St. Regis New York, hinted at the yearly financial metrics of each co-branded suite. He indicated that the Bentley Suite was the most successful overall in terms of financial metrics. The Dior Suite came in second place, and the Tiffany Suite came in third place. These results seem to mirror each brand’s level of exclusivity. The Bentley Suite had a 58 percent premium in profit compared to the Tiffany Suite and a 24 percent premium in profit compared to the Dior Suite. When compared to a non co-designed suite similar in price, expense, and amenities all co-designed suites were more profitable, yet only the Bentley Suite had a significant difference in profitability at 59 percent. Tiffany Suite only had a 2 percent premium. Suffice to say, the Bentley Suite is overwhelmingly more profitable when compared to the other suites in the hotel. Undoubtedly fashion collaborations can create enormous value. From price premiums, to generating loyalty and publicity, the benefits can be significant and far reaching. Nonetheless, an inappropriate co-branding partner can potentially minimize profitability per co-designed suite and therefore should not be overlooked. In the case of St. Regis, all three fashion suites would appear successful if simply using profit premium as an indicator. In addition, each suite’s design and VIP experience cater to differences in niche psychographics among the hotel’s guest. For instance, the Tiffany Suite appears to cater to guests who love diamonds, shopping, and a more whimsical design. St. Regis could not emotionally cater to this certain lifestyle without partnering with Tiffany & Co. It essentially united its guests by co-branding with a designer that differs on intricate personality dimensions. On the other hand, the Bentley Suite garnered a greater premium suggesting that a more exclusive perception increases how much a guest is willing to pay per suite. The question becomes if there are varying perceptions of exclusivity depending on who is the guest. Recall that the loyal St. Regis guest is traditionally older, well-travelled, and a design enthusiast. Yet, it is not recommended to categorize all potential St. Regis guests in this manner. What is considered luxury to one guest, might be considered too common for another. Perhaps St. Regis picked all three partners by examining varying psychographics of each guest, by determining what brands their guests are loyal to and what seemed like a cohesive brand fit. St. Regis demonstrated intentional levels of segmentation with three distinct co-branding partners. All three partners differ on intricate branding characteristics yet largely present a cohesive brand fit with St. Regis. 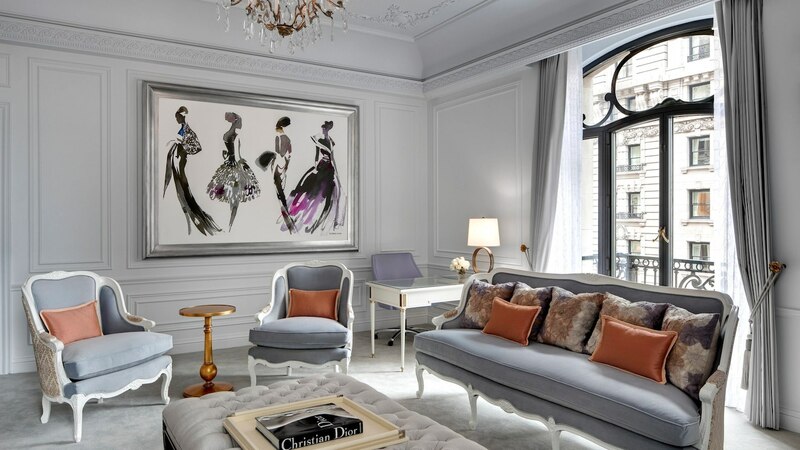 However, while all three co-designed suites allow St. Regis to emotionally cater to differences in lifestyle among their guests, the results clearly show that the Bentley Suite was significantly more exclusive when compared to Dior and Tiffany, as demonstrated by the profit premium. So one could question whether a more exclusive brand may have been a better partner for St. Regis than Tiffany or Dior? Imagine a co-designed suite by Van Cleef & Arpels or Breguet. Would one of these brands cultivate greater appeal among the same one-percenters loyal to the St Regis and still allow St. Regis to cater to differences in lifestyle? In this co-design case study the highly selective brand, not that brand available to the mass market, seems to have a greater propensity to generate awe and envy. 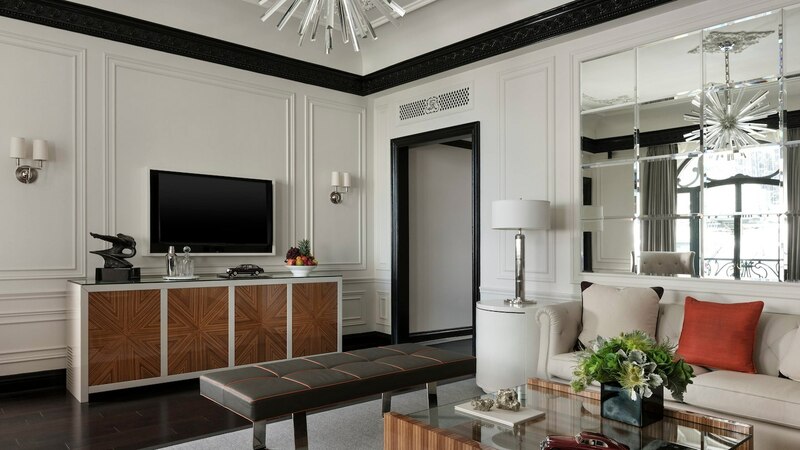 By evaluating St. Regis based on their partnerships, it seems to be that the designer’s brand awareness impacted the price guest are willing to pay per suite. Hotels wishing to pursue co-designed suites must question their loyal guest’s perception of the said designer. Such as, is the designer viewed as a prestigious brand and worthy of their patronage. The more exclusive the brand, the more desirable and coveted it becomes. Is the grass greener on the other side for luxury guests? Yes, if the other side is by invitation only. Karen Loynaz is currently traveling the globe as a flight attendant based in Washington DC. She has a Master’s degree in Hospitality Management from Georgetown University. For her capstone project, she investigated the role brand personality plays in successful hotel co-branding. She is passionate about sustainable tourism and aspires to own an eco-lodge in the future. Gregg Rockett was a member of the Hilton Development team from 2004 to 2018 as Vice President of Development. Initially he had responsibility for hotel expansion in Latin America and the Caribbean and later assumed responsibility for Corporate Development in North America with a focus on public-private hotel initiatives. Gregg’s previous experience includes nine years with the Hotel Development group of Marriott International. While based in Madrid for three years, he led the expansion efforts in Spain, Portugal and Italy and prior to that, he was based in Washington, DC as Director of Feasibility and Market Analysis in Latin America and the Caribbean. He has been involved in the hotel and tourism industry for 30+ years, mostly focused on international markets. He has a bachelor’s degree in Hotel and Restaurant Management from the University of Houston, Conrad N. Hilton College and a Master of Business Administration from the University of Maryland University College. Gregg has served as Adjunct Professor of the Masters in Professional Hospitality Management Program at Georgetown University. Currently he is serving as Professor of Practice at the Hong Kong Polytechnic University School of Hotel and Tourism Management.